Adobe’s new Essential Sound Panel is easy to use while also allowing advanced users to manually fine-tune effect settings. Here is an explanation of the panel that demonstrates how it will save editors considerable time getting a good audio mix. If you don’t see the workspace options at the top of your screen, you can change your workspace by going to Window/Workspaces/Audio. You should see the Essential Sound panel on the right, but if you don’t, go to the Window menu and select Essential Sound. Keeping your audio organized with track labels is always a good idea, but it’s even more important in the Essential Sound Panel workflow. In this example I have dialogue, sound effects, music, and ambience. Notice that there is sometimes more than one track for each category. Lasso all of the clips you would like to include in the Dialogue group. Notice that the Dialogue, Music, SFX, and Ambience buttons in the Essential Sound panel are now active. Click the Dialogue button to open the options for manipulating the dialogue effect controls. Similar to the Lumetri Color controls, there are various categories of effect controls that you can expand or collapse. In this instance, I would normalize the volume so I can quickly make all of the dialogue in the sequence conform to a unified standard. Click the Loudness heading to open the controls pertaining to volume. 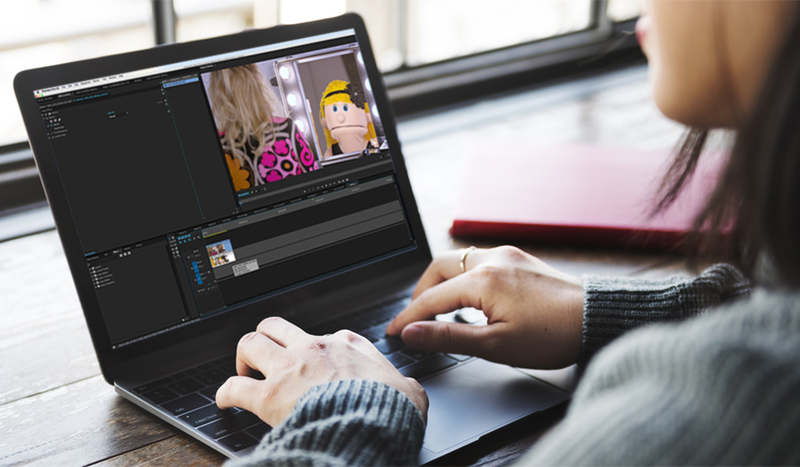 Click Auto-Match for the fastest results by letting Adobe Premiere quickly conform all the selected audio clips to a uniform level. Here, I would like to apply different effects for the two main actors in my scene. Highlight the group of clips you wish to affect, and apply the settings using the slider controls in the Essential Sound Panel. In this case, I will reduce the hum and the rumble in the Repair category by manipulating the sliders. Notice that you can toggle the Repair category on or off to compare the before and after results. After establishing the overall setting for all of your dialogue, click on the clip you wish to fine-tune, and open the Effect Controls window for access to individual controls for effects. Experiment with other options such as Clarity in the Dynamics category to further improve your audio. 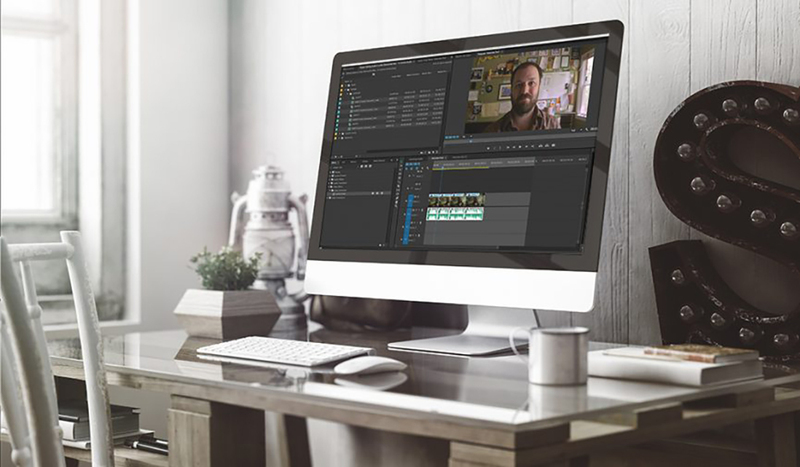 Select all of your clips associated with the background ambience in your edit and assign them to the Ambience category by clicking the Ambience button in the Essential Sound panel. Click on the Auto-Match button to normalize the audio to a uniform rate. Depending on your clip, change the preset to something that describes the location of your scene. In my case, I will choose Room Ambience, and I will adjust the slider to achieve a more realistic sound for my office ambience clips. Take it a step further by adding a Stereo Width effect to create the perception of a more dramatic stereo effect. By clicking on your music track and assigning it to the Music category in the Essential Sound panel, you can normalize the volume using the Auto-Match button and the background music preset. Additionally, you can customize the duration of the music track by opening the Duration menu in the Essential Sound panel. Either type in a new duration for your music clip or click and drag to increase or decrease the duration of the selected clip(s). 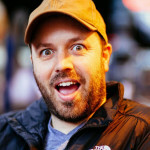 After you hit play, your computer will briefly render the track to play at a new speed to fit the desired duration. You can assign all of your sound effects to the SFX category in the Essential Sound panel. Here you can change the loudness, add room sound or reverb, and pan the audio left or right. 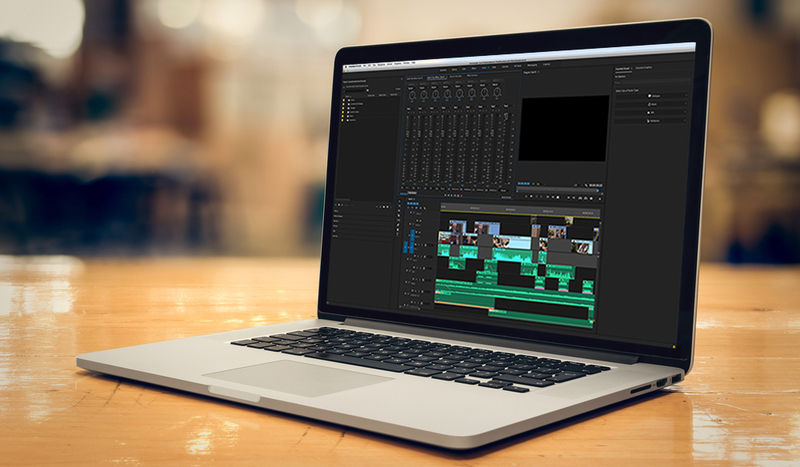 With the timeline selected, go to the Edit menu and select Edit in Adobe Audition then select Sequence. 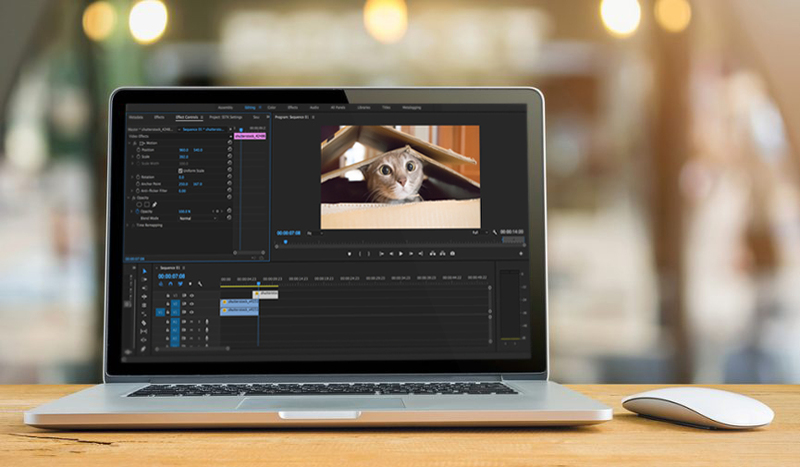 The dialogue box defaults to preserving all of your edits, including any keyframes on clips such as volume and panning. 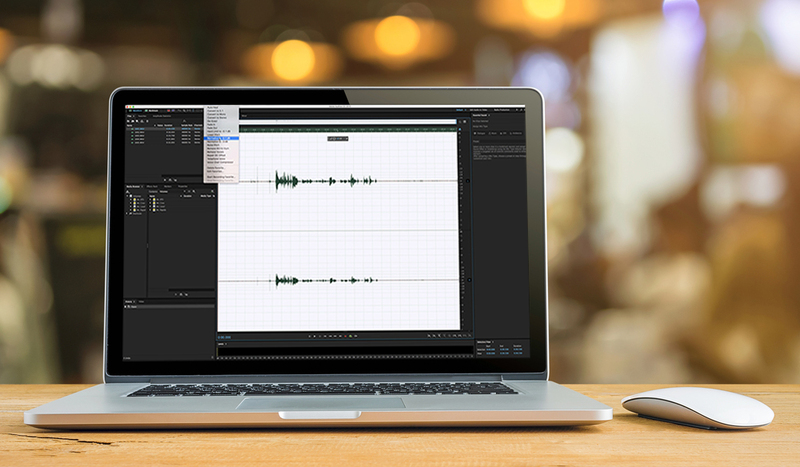 Adobe Audition then automatically creates a multi-track session that contains all of the work you completed in Adobe Premiere Pro. Do you have any tips for the Essential Sound Panel? Let us know in the comments.